After a long hiatus from our little wine shop, Kenwood Vineyards makes its triumphal return. 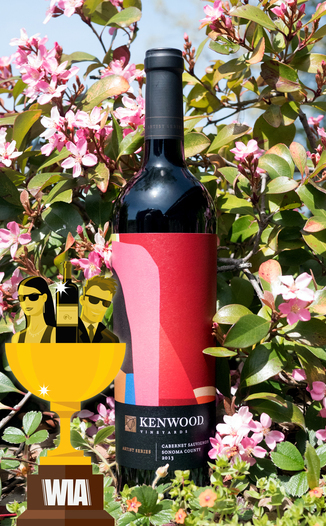 Today we are elated to bring you what most consider to be Kenwood’s best wine, their flagship Artist Series Cabernet Sauvignon. This 2013 (a 98 point vintage, according to Robert Parker!) is one of the best Sonoma Cabs we’ve featured this year. This wine has a dark garnet core ringed by a ruby red lip. The nose opens up expansively revealing a fragrant Cabernet with notes of fruitcake, cherry, blackberry, cigar box, baking spice, and plum. Take your first sip to find red fruit like cherry rush in to mingle with the blackberries. Vanilla, hibiscus, and fresh date are also invited to the party, capped by a floral perfume on the finish. This wine is approachable and as smooth as it gets. 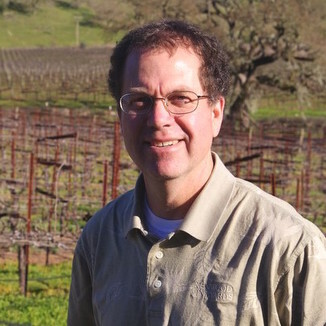 Soft, supple tannins are what Sonoma Cabs are all about - and boy - is this a shining example. Looking for a great pairing? This wine calls out for pasta! Picture linguine dressed in a simple sauce of hot oil, garlic, and pancetta. Perfection! 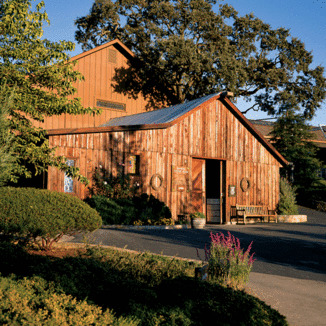 Kenwood is a historic Sonoma County winery that has roots that date back to 1906. That’s when the Pagani Brothers Winery, where Kenwood has called home since 1970, was founded. 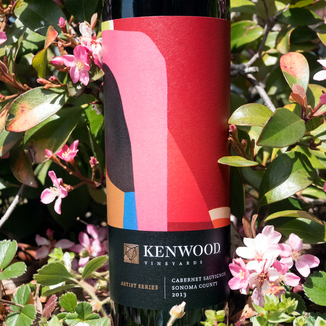 For more than three decades, Kenwood Vineyards’ Artist Series remains the ultimate expression of artistry and fine winemaking at Kenwood, by blending the finest Cabernet Sauvignon produced from the very best vineyards in Sonoma County. Winemaker and artist come together to explore the unique terroir, vintage conditions and ultimately the wine crafted for each release. The artistry displayed on the bottle and within makes each new Artist Series release an event and every Artist Series vintage a prime collectible. These age-worthy wines are full-bodied with richly layered fruit, integrated oak, and polished texture. Here’s what the wine press has to say. This wine has a dark garnet core ringed by a ruby red lip. Fruitcake, cherry, blackberry, cigar box, baking spice and plum. Red fruit, cherry, blackberries, vanilla, hibiscus, date, floral perfume finish. As smooth as it gets and extremely approachable. Soft, supple tannins are what Sonoma Cabs are all about - and boy - is this a shining example. Linguine dressed in a simple sauce of hot oil, garlic and pancetta.